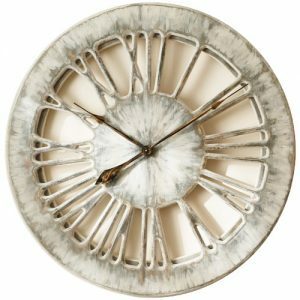 Our most beautiful modern wall clock will be ideal to decorate your kitchen, hotel room or restaurant. 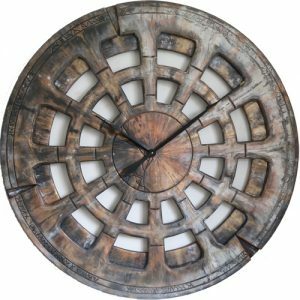 The choice of colors makes it suitable for contemporary interiors where you need the most unique wall decor. As you may see on the picture we have added extra narrow rim at the back to achieve the three dimensional character. Some of our customers request minor alterations to the design. For instance you may want more green and less yellow shades. Give us a call to discuss any specific requirements and we can work together to make sure it meets your needs. 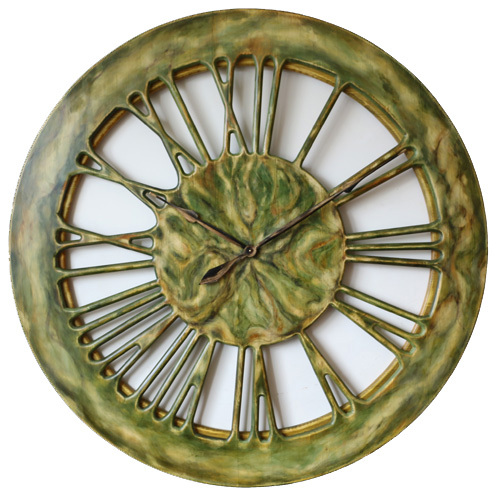 This modern wall clock is available in three different sizes that you can select from the drop down list below. 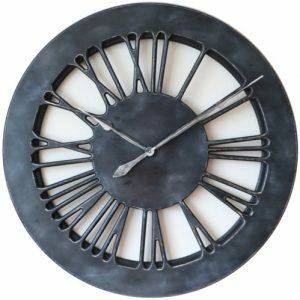 Are you looking for a custom made modern wall clock with roman numerals? Our customer had some special requirements around the clock face to complement his existing lounge decor. He was initially interested in a design called Marijuana which was a bit darker with more wood grain visible. On his request we have modified the original to make the colors more vibrant and avoid exposing the wood grain. 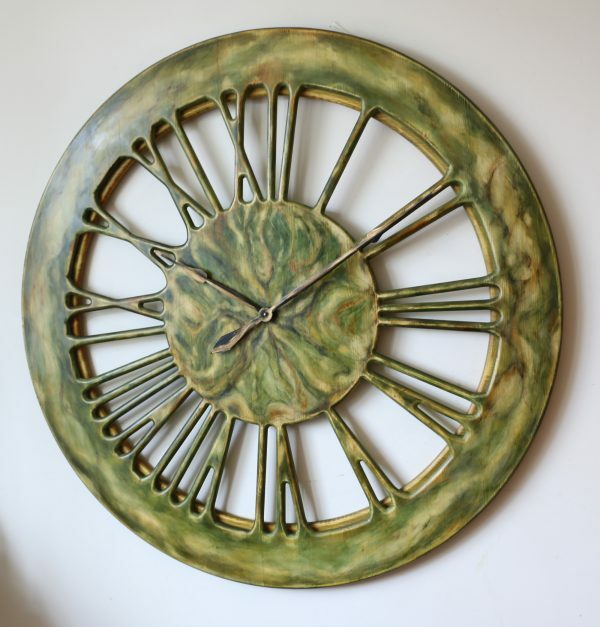 The size of this timepiece is 48″ in diameter but we can also make 40″ or even 30″ if you haven’t got enough wall space. 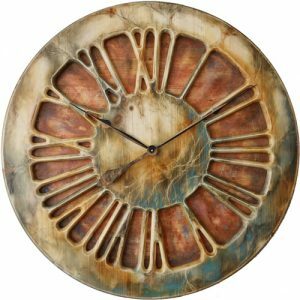 The clock has modern, light and three dimensional look. Its empty back makes it easier to match many different styles of interiors. You can see the wall between the numbers but at the same time the string used to hang the clock is hidden from view. Our skeleton design is globally unique and you can’t find it in the shop window. 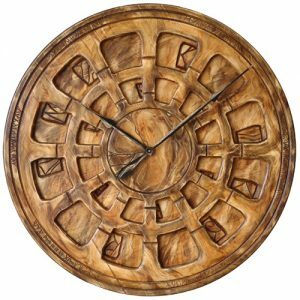 We have founded Peak Art to demonstrate that large clock can be the most beautiful decoration element. 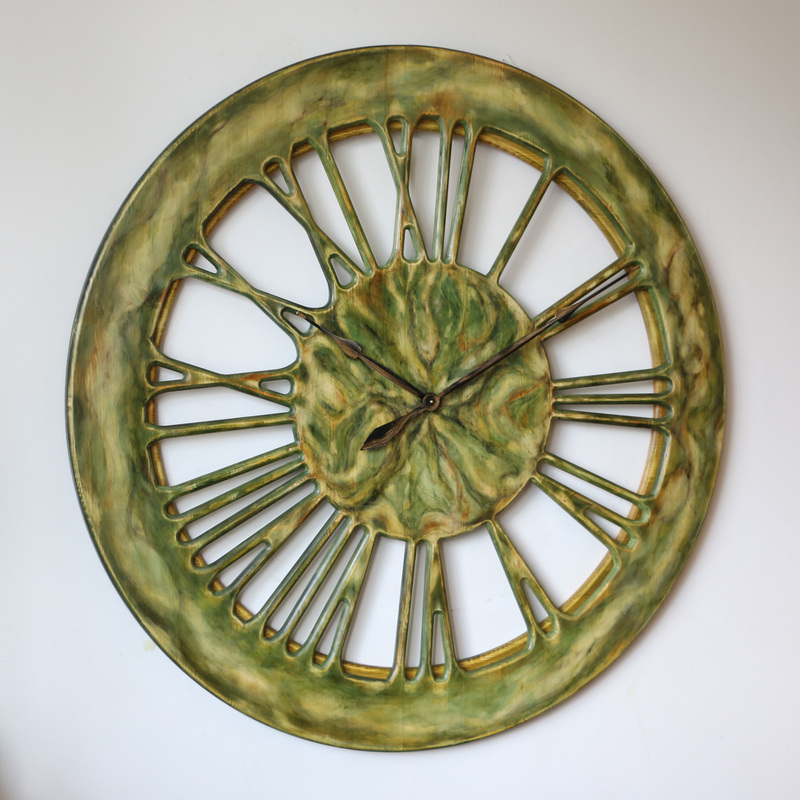 It is very common to fill empty wall space with paintings or mirrors but if you are looking for something more contemporary it is worth considering one of those stunning clocks. With handmade nature of each piece you are always getting uniqueness and individual character. Please join thousands of other people following Peak Art and be part of our community. 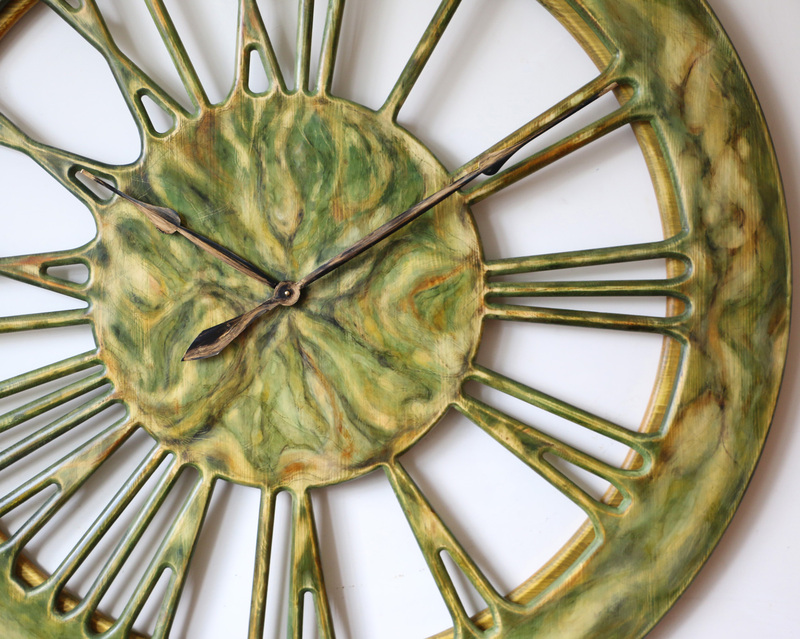 Don’t follow old trends and challenge accepted thinking when it comes to decorating your house.